Time to say goodbye to July as we descend from the Alps for an August Trek around the Middle East. 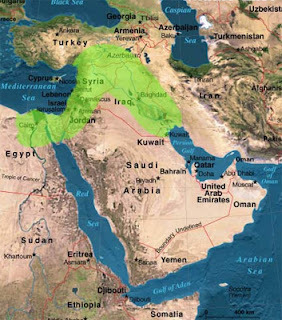 We are going to wander through the fertile crescent which curves through the Middle East from the Persian Gulf, through southern Iraq, encompasses ancient Mesopotamia between the Euphrates and Tigris rivers, and continues through Syria, Lebanon, Jordan, Israel, to the Nile River in Southern Egypt. We are going to follow in the literary footsteps of two Egyptian authors: Naguib Mahfouz who won the Nobel prize for Literature in 1988 as well as writer Nawal El Saadawi, the voice of Egyptian feminism. Our Blossom Bookology flower of the month is Jasmine which the people of Syria consider their national flower. 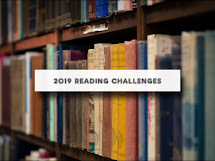 There are a number of directions to go for this month's challenge. Read one book per letter using either the title and/or the first or last name of the author. Yes, you can mix it up. You may read a book with the name of the flower, color of the flower in the title, or on the cover. Another possibility is a book which takes place in the time period or flower's country of origin or has some cultural significance and/or symbolism of the flower. The choices are unlimited. Our Brit Trip is taking us to Leicestershire this week. Leicestershire holds an interesting spot as being the origins of things we think of as classically English– fox hunting, Taylor’s Bell Foundry, stilton and red Leicester cheese, and pork pies. It is also where King Richard III met his Bosworth. I have many Middle Eastern friends (work on a campus with the largest Saudi student population in the country). I heartily endorse many of your "10 Books on the Middle East" book. Islam: A Short History, by Karen Armstrong is an excellent starting point. Nine Parts of Desire by Brooks is fascinating! I read it many years ago. I did not read The Looming Tower by Lawrence Wright but did read his book called The Terror Years and could not put it down. His writing is excellent. I also recommend The Arabs by David Lamb.